Samsung takes the S3 name for its latest tablet. 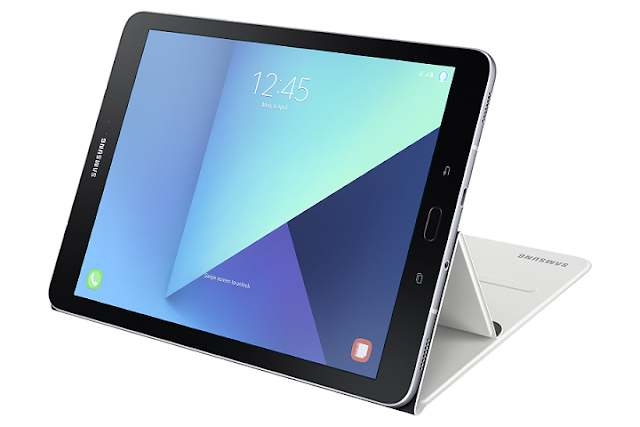 Not just a new tablet that will replace the Galaxy Tab S2 but with refined specs and hardware. 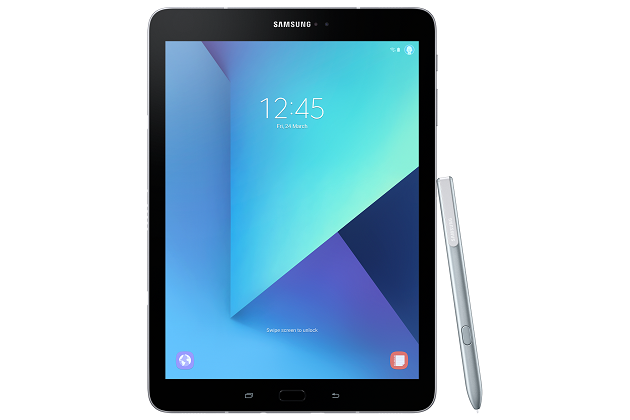 Samsung Electronics Co., Ltd. recently announced and unveiled the Samsung Galaxy Tab S3 during Mobile World Congress, the stylishly-designed tablet, with advanced technology, offers a premium mobile experience. For digital content enthusiasts, the Galaxy Tab S3 delivers a superior video and gaming experience, along with versatile usage, packaged in a 9.7-inch Super AMOLED display. The Samsung Galaxy Tab S3 takes mobile entertainment to the next level, providing a cinema-like experience with 4K video playback and a stunning Super AMOLED display. Furthermore, it supports videos in High Dynamic Range (10bit colored) for true-to-life colors and vivid digital content. In addition, the Galaxy Tab S3 is the first Samsung tablet to feature quad-stereo speakers, tuned by AKG by HARMAN, for a premium visual and listening experience. Designed to keep users always connected, the Galaxy Tab S3 is built with a fast-charging capability and longer battery life, supporting up to 12 hours of video playback. With a Refined S Pen, the Galaxy Tab S3 allows users to be more productive, creative, and do multiple things at once. For a natural writing experience, the S Pen has a smaller 0.7mm tip and increased pressure sensitivity. It also includes convenient features such as Screen Off Memo to quickly jot down notes, PDF Annotation for easy editing and professional-level drawing with Advanced Drawing Tools. 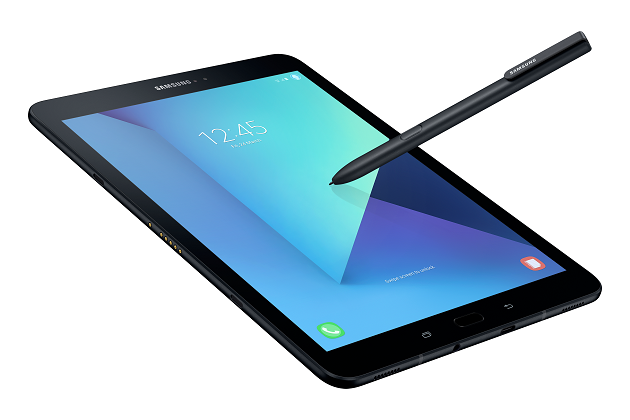 The Samsung Galaxy Tab S3 delivers on Samsung’s legacy of innovative Galaxy technology, including a 13-megapixel rear camera, which includes auto focus, and a 5-megapixel front camera for high-quality photos. Furthermore, the tablet also includes expandable storage.The device also supports Pogo keyboards, with no separate charging or pairing required. At Samsung, we are committed to expanding the boundaries of the mobile and computing experience by providing best-in-class products that satisfy mobile users’ diverse needs and demands... Our new tablet portfolio is built with premium technology that delivers a productive and versatile experience to consumers, designed for users at home, work or on the go. - DJ Koh, President of Mobile Communications Business, Samsung Electronics.